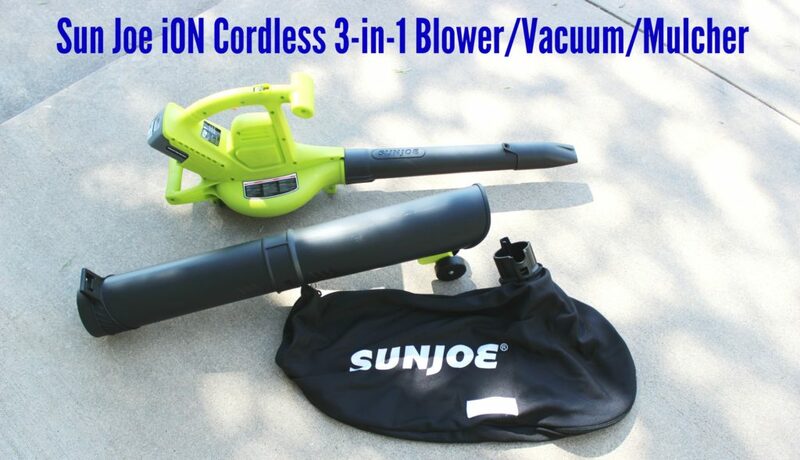 I received the 3-in-1 Blower/Vacuum/Mulcher from Sun Joe as a promotional item. This is not a sponsored review. All opinions are 100% my own. 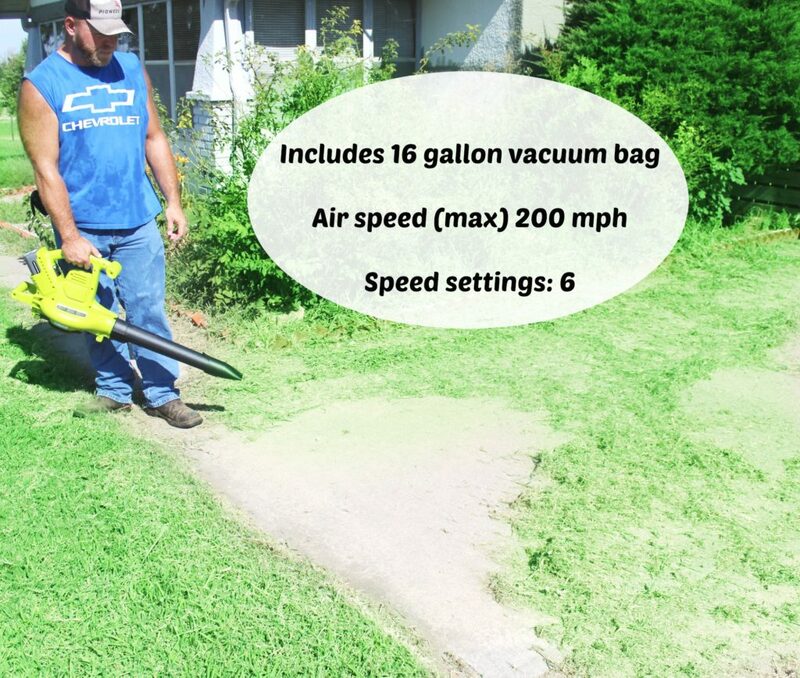 We got this Sun Joe iON Cordless 3-in-1 Blower/Vacuum/Mulcher with Brushless Motor awhile back, and have been putting it to good use! We own over 20 acres of land, and with that comes some good ol yard maintenance. My husband is really big in to having our yard mowed and trimmed up. So having this 3-in-1 Blower/Vacuum/Mulcher has come in handy! With it being summer he is out weed eating a lot and with that lawn clippings get tossed all over our driveway and sidewalks. Right now, it has been great at being used to blow all the weeds off the drive and sidewalk so we don’t have to worry about it building up. I know once Fall comes it will be great for picking up leaves for mulching! Right now we just don’t have any. 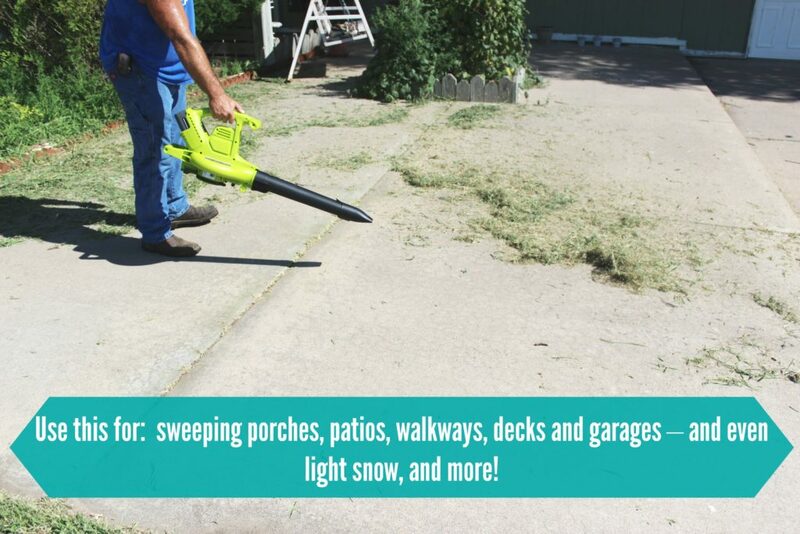 You can use this for sweeping porches, moving light snow, blowing grass off your drive, and so much more. It is a very versatile piece to add to your lawn needs! It comes with a 40 volt Lithium Ion Battery and powered block to charge it. You can get around 45 minutes of run time between charging the battery. Which is a lot of time to get the job done! it also offers an air speed of up to 200 mph, which means it blows a ton of air! You can also choose between six speed settings depending on the job you will want done! 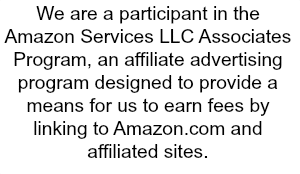 I am excited to keep using this and my husband as well, and see all the awesome jobs we can find to use it in! We really like this Sun Joe iON Cordless 3-in-1. It is nice light weight so it doesn’t take a lot to hold it when you are using it, and it does great on getting the job done at hand! Click Here to shop online and also look at all the other products Snow Joe + Sun Joe have to offer! 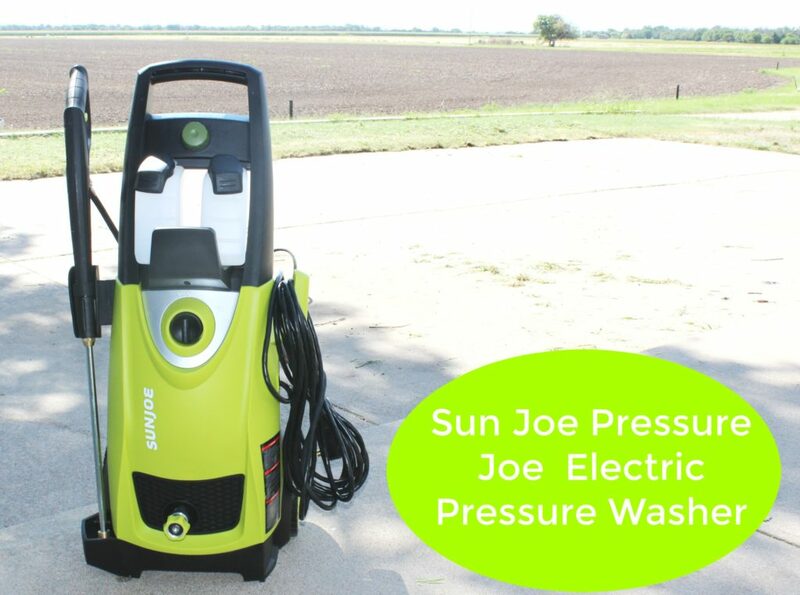 Also, you might be interested to check out the Sun Joe Pressure Joe Power Washer!